Current Trends and Future Forecast for Fleet Management | WEX Inc. When we consider trends, we are typically thinking of what is hot in the current world of fashion, food or electronics. While the trucking industry may not be concerned with what to wear or eat, they are most certainly focused on technology as a better way to address the challenges they are facing. Fleet management has had a lot to deal with in 2018. ELD mandate and other regulations, along with the driver shortage, have required that the industry pay attention to the big picture and every detail that is included in that scope. Fleet Managers are looking for more efficient strategies in all aspects of business in order to meet the industry’s growing demands. According to the American Trucking Associations (ATA), goods hauled by truck are expected to grow at a three percent rate per year over the next five years. Beginning in 2017, the growth was expected to be 2.8 percent, which would increase to 3.4 percent in 2018 and remain at that level through 2023. This trend in growth can be attributed to an expanding economy along with a growing population, and the good news is that the trucking industry will experience considerable revenue growth. The bad news is that the industry will also experience some roadblocks along the way. Here are the top 4 trends that fleet management is concerned with as they are navigating daily operations. The Kiplinger Energy Prices Forecast from November of 2017 shows that oil prices are heating up. The turmoil taking place in Saudi Arabia has been a significant catalyst for the rise in oil prices, and as oil prices rise, it causes gasoline and diesel prices to do the same. But what does all that really mean for the trucking industry? It could mean significantly higher prices into 2018 and beyond. Trucking rates are rising in many cases, including a 4.9% rate increase by FedEx and similar moves from other carriers. The forecast is for these rates to continue to rise, as demand for services also increases. Trucking is expensive and moving freight can be a difficult process that often comes with tight deadlines and other difficulties. Because of the issues the trucking industry faces, they charge higher rates in an effort to reduce concerns over being able to make a profit and sustain their companies. According to a high-ranking member of the ATA, the trucking industry is currently short by 30,000 to 35,000 drivers and is only projected to get worse. By 2022, there may be a driver shortage of 245,000. That could lead to serious and long-lasting problems in the industry, and those problems could reach out and impact customers of the trucking industry, as well. Consumers may have to find some other ways to get their goods shipped to them and they could see delays and shortages. Another serious concern for the industry is the capacity it has. There are only so many trucks and drivers, even without a shortage. Keeping that in mind, what happens when companies need things shipped but there simply are not enough trucks and drivers to handle the requests? There are certainly other ways to get goods across the country, with planes and freight rail being by far the most common, but these items are generally offloaded at end points that may not take the goods exactly where they need to go. If there is a shortage of trucks and a lack of capacity, consumers will see a shortage of goods on their shelves as well. What it all indicates is that revenue will grow but will also be affected by the restrictions on driver hours, rising fuel costs and the need for fleet management to raise salaries and fleet payments in order to attract drivers. Along with higher wages fleet managers are passing on benefits to the drivers by way of more efficient tools while on the road. The benefits include mobile apps, direct access to fleet funds and fleet payment in real time. Fleet payment company EFS provides many of the benefits that give fleet management advantages, along with ease and peace of mind for the drivers. 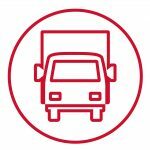 With expertise in payment and a keen understanding of fleet management, EFS offers a variety of options to address the needs. Products like payroll settlement cards streamline the process in fleet payment while providing employees and contractors immediate access to cash. Tools like these are helping to retain drivers and grow the business in new ways that the trends are demanding. Revenue is growing in the trucking industry and expected to continue through next year with companies like EFS helping to keep fleet management not only on track, but ahead of the game.